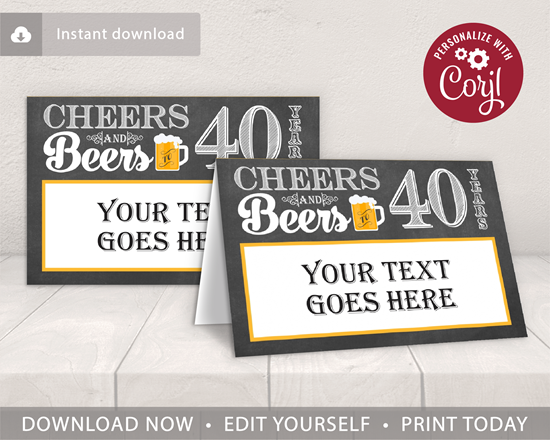 These editable and printable place cards are perfect for an adult's 40th birthday party or beer crawl in the Cheers and Beers to 40 Years theme! The tent cards are available to download immediately after purchasing. Edit online with Corjl.com using your computer, phone, or tablet. No software is required. You can print as many as you need! The tent cards are available to download immediately after purchasing. Edit online with Corjl.com using your computer, phone, or tablet. No software is required. You can print as many as you need! 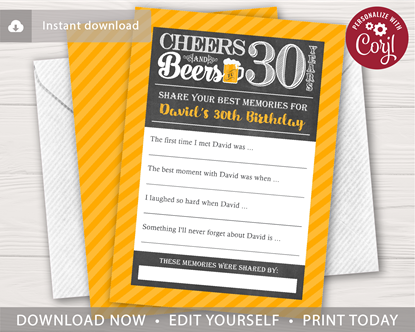 This editable and printable 5x7 share a memory card is perfect for an adult's 30th birthday party in the Cheers and Beers to 30 Years theme! 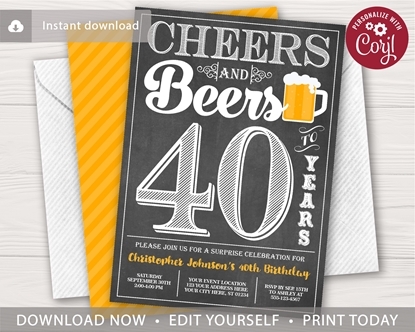 Cheers and Beers to 40 Years! 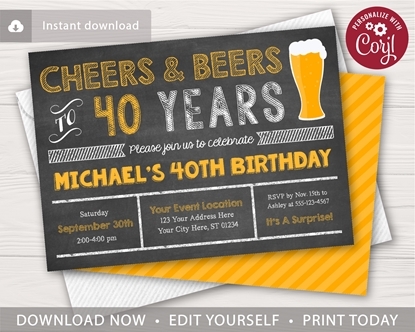 This editable and printable 5x7 invitation is perfect for an adult surprise birthday party or 40th birthday beer crawl!